FLOATPLANES ARE DIFFERENT than commercial airliners. Instead of checked luggage, our pilot asked if we needed to strap any canoes to the pontoons, and he didn’t care if we carried filet knives and fish bonkers on board. Once inside, it took 30 seconds for the co-pilot to unmoor the boat, scramble in, point out the emergency exits and floatation devices, and jump into his seat. In place of well-planned flight routes, high-tech GPS navigation, and Air Traffic Control spouting directions, our co-pilot traced our route on a creased map stuck under his sun visor. We landed at the wrong house. Fifteen minutes later, we climbed down from the plane to meet our host, Ric Driediger, but we still weren’t at our destination. It seems even bush planes can’t land in the middle of nowhere. Ric guided us across a portage to a smaller lake and helped load our gear into canoes for the final leg of our journey. 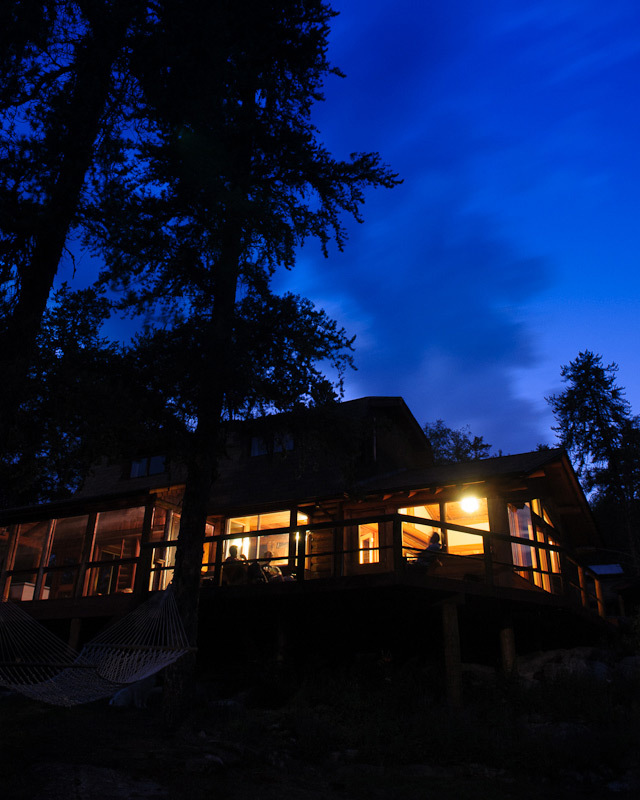 When I clambered onto the deck at Forest House, I couldn’t imagine a quieter place. The noise of the floatplane had long since faded into the distance, and the only neighbours lived several kilometres away. I settled into an Adirondack chair facing the lake and took in the silence. Ric handed out glasses of iced sun tea and took the seat opposite mine. He caught me studying his knees. It wasn’t just that they were hairless. They were also completely flat. Throughout his 40-year canoe-guide career, Ric has opted to kneel when paddling and he’s run enough rivers that his knees wear the floor contours of his favorite 18’ prospector canoe. Ric is 58 years old but you wouldn’t guess it. He’s got a thick grey beard, and his blue eyes still twinkle with the enthusiasm of a teenager who’s just been given the freedom of a driver’s license. 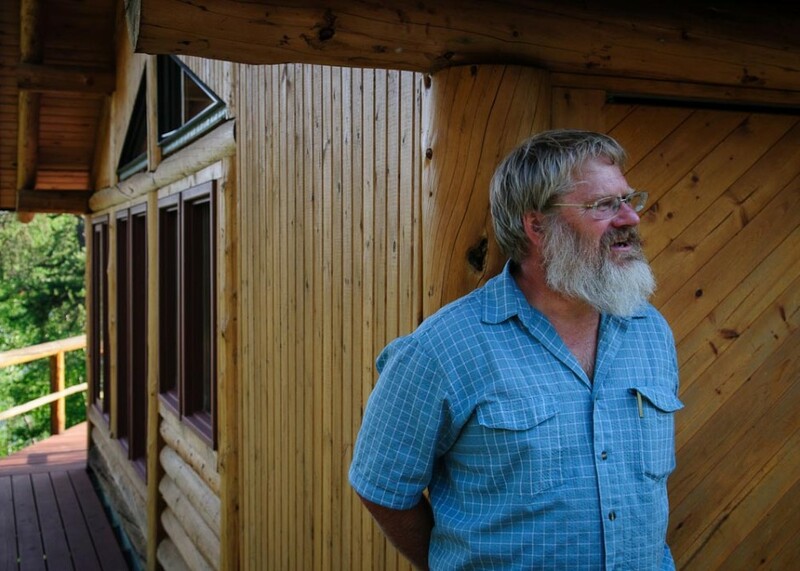 In the mid 1980s, he purchased Churchill River Canoe Outfitters (CRCO) in Misinipe, Saskatchewan, and started to run trips throughout the province and further north in Canada’s territories. Still, he always returned to the Churchill, and he jumped at the opportunity to buy a share of Forest House. “I think the best way to protect an area is to put more people in it. That way, they’ll realize it’s too special to destroy, “ he said. The next morning, Ric said he expected company. I thought he’d lost his mind. Even our floatplane had trouble finding this place. Yet shortly after lunch three canoes appeared across the lake and set course for the house. It was the Shoo Bears, a group of 8 Saskatchewan women who earned the nickname on their first independent canoe trip. They’d woken up to a bear scavenging their campsite, and Barb had grabbed a canoe paddle and waved it, shouting “shoo bear!” The name stuck. That trip turned into an annual tradition. The women have been canoeing with each other for the past 25 years. At home, they are doctors, lawyers, teachers, employees, and bosses. Most are mothers and wives, too. Out here, they’re explorers. One year, they paddled 250km down the Cree River. The next it was a section of the Churchill. This year, they were in the McLennan Lake area and they’d decided to stop by Forest House for a visit after meeting Ric at his CRCO office. No sooner had the Shoo Bears left than a second group of visitors arrived. Rob MacIntosh, co-owner of Forest House, dropped in unexpectedly to show his sister the property. His wiry frame spoke of an active life; his fiery red hair complemented his intensity. It was evident that Rob didn’t sit around and wait for something to happen. He was the catalyst behind the Pembina Institute. As co-founder of the organization, he helped it grow from a regional advocacy group in Drayton Valley, Alberta, to one of Canada’s leading environmental think tanks providing practical environmental solutions to industry and government. Rob’s restlessness showed throughout our stay. The day after our arrival, he guided us on a three-lake afternoon canoe trip. When we returned, most of us opted to alternate between hot sauna and cold lake. Rob fired up a chainsaw to clear deadfall trees from a hiking trail. After dinner, he built the fire and poured the whiskey. When, at the end of the week, it came time for us to return to our iPhones, unanswered emails, and busy agendas, he was the first person packed. On the return trip, we didn’t fly. We canoed. Ric had the trip down to a science. He’d been training us all week. When we’d gone to meet the Shoo Bears, he taught us proper sterning techniques — the art of steering a canoe without paddling on alternating sides. Our half-day paddle to check out an abandoned camp gauged both our endurance and portaging strength. Even our lake swim now seemed to have been more about ascertaining our swimming ability than escaping the heat. Although Forest House sits only a dozen kilometres from the highway and its link to civilization, the return trip covered four lakes and included four portages, across which we had to carry not just our equipment but our canoes, too. After three days at the wilderness lodge, we couldn’t complain. This route was how everything — the phone antenna, solar panels, even the refrigerator — had been hauled to the property to begin with. By comparison, our bags were light. When: Forest House opens for clients between June and September; however, the owners are considering winter trips in 2013. Where: Forest House is located 75km north of Misinipe, Saskatchewan. How: Unguided canoe shuttles are included. Guides are available from Churchill River Canoe Outfitters and cost between $110 and $225. 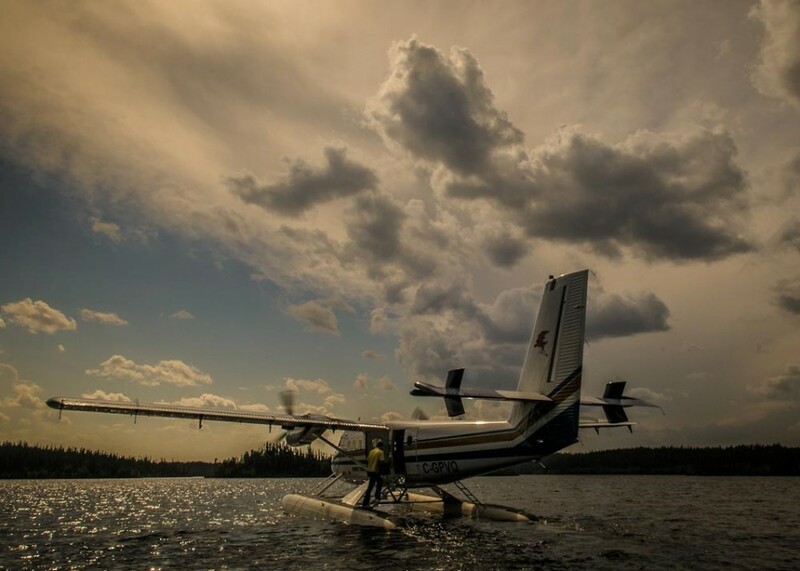 Floatplanes from Misinipe to Forest House, with Osprey Air, run between $425 and $775 depending on group size. To do: Learn about wild edible plants, organic gardening, and sustainable living. 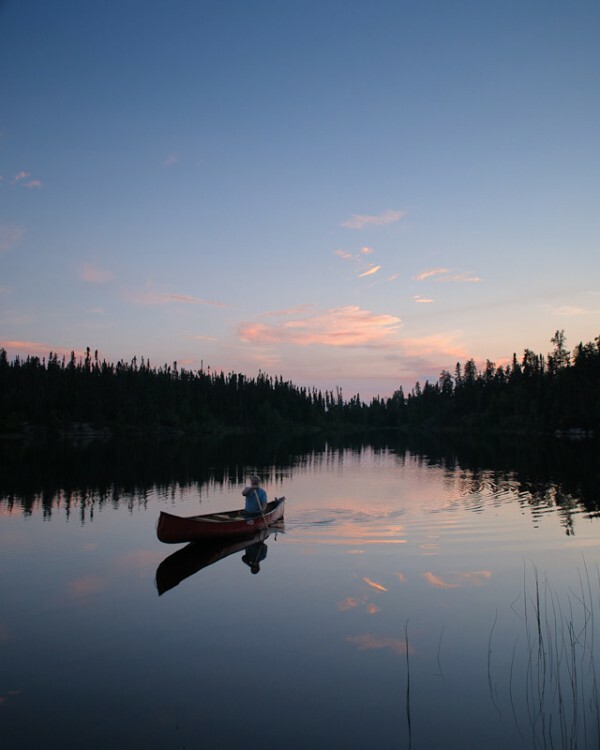 Paddle a canoe, hike through the boreal forest, or fish for northern pike. Relax in the sauna and swim in the lake. More info: Contact Ric Driediger at ric.crco@sasktel.net or call 1-877-511-2726.